Oh, just imagine all the funny things you could say with this Plush Pink Piggie! Perfect for Easter baskets, BBQ and restaurant small business promotions, Father's Day or just because. Customize one today with a cute message for someone special! PLEASE NOTE: Your design will print roughly 2.50" wide. 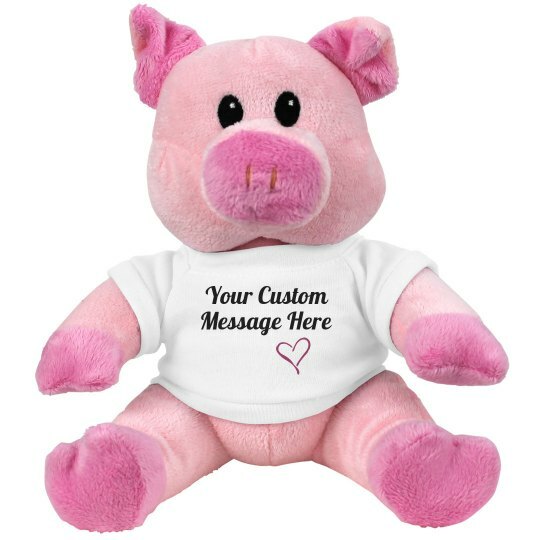 Give out some hogs and kisses to your special someone with this cute custom stuffed pig on Valentine's Day. Customize this stuffed animal in our easy-to-use design center by personalizing it with your own heartfelt message for your Valentine.